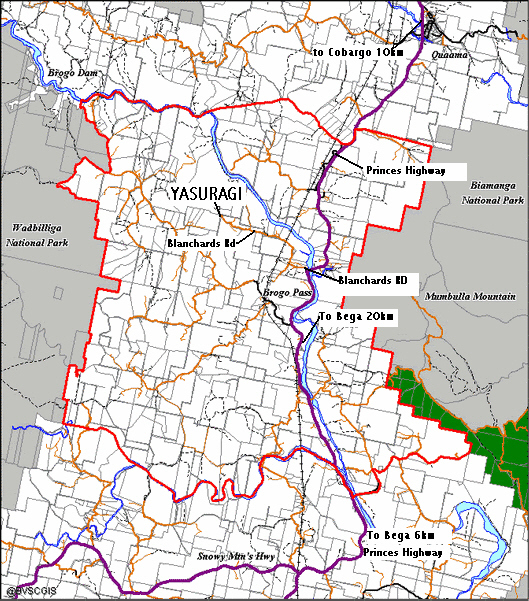 Yasuragi is located at 421 Blanchards Rd,Brogo,NSW approx 20km south of Cobargo and approx 20km north of Bega on the far south coast of NSW. If you are arriving from the south on Princes Hwy, you turn left just before you cross the Brogo River bridge which is approx 13.6km from the Snowy Mtns and Princes Hwy intersection. If you are coming from the north on Princes Hwy, you turn right at end of the Brogo River bridge. Please put your indicators on as you drive onto the bridge to advise any traffic behind you of your intentions. Blanchards Rd is well sign posted from both directions. Once on Blanchards Rd keep to right at the T intersection. You will cross a small conrete bridge a little way down the road. Please be aware of cows, kangaroo's,wombats and deer on the road, especially at sunrise and sunset. Proceed to the end of Blandchards Rd. 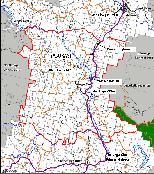 The distance is about 4.2km on a council gravel road.